Global Renewables Shipbrokers GmbH welcomes David Hochman (Norwegian) as Junior Sale & Purchase Broker. Mr. Hochman joined the Team of GRS in November 2018 after he has worked in several roles within the maritime industry, mainly inclined towards maritime research and development. 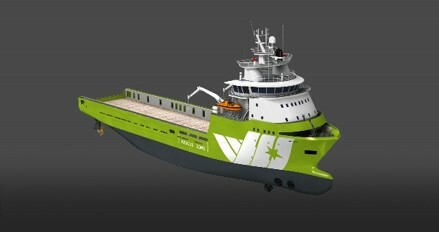 Together with Niels Vogt he will serve the GRS Sale & Purchase Enquiries for all kind of Offshore Vessels and Newbuildings under the motto Any Vessel Anytime. 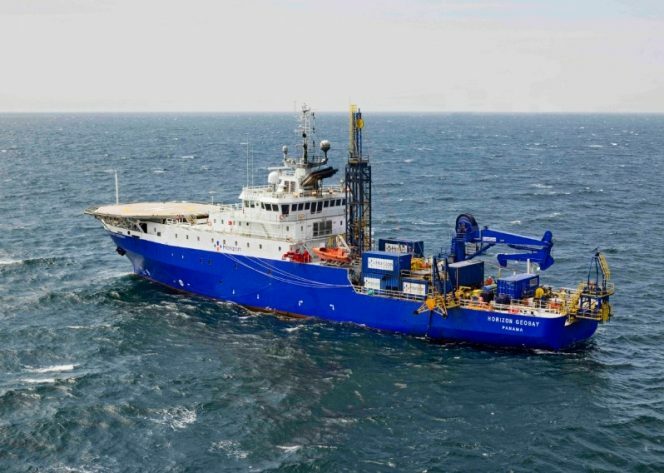 The MV Horizon Geobay has completed the 2018 site investigation campaign on the Inch Cape offshore wind farm at the Outer Firth of Tay and Firth of Forth, Scotland. The geotechnical laboratory testing and reporting will continue over the winter, Inch Cape Offshore Ltd (ICOL) said. The geophysical and geotechnical surveys started at the 150km proposed site, 15km off the Angus coast, at the end of July. Surveys were also carried out along the Export Cable Corridor located within the Outer Firth of Tay and Firth of Forth, with works taking place off the North Berwick and Gullane coast in East Lothian.The 784MW wind farm will consist of up to 72 turbines supported by fixed foundations and substructures. It will connect to the grid at the former Cockenzie Coal Power station in East Lothian. The project is expected to enter construction in 2020. ICOL is 100% owned by Red Rock Power, an Edinburgh-based company which is in turn owned by China’s SDIC Power Holdings. 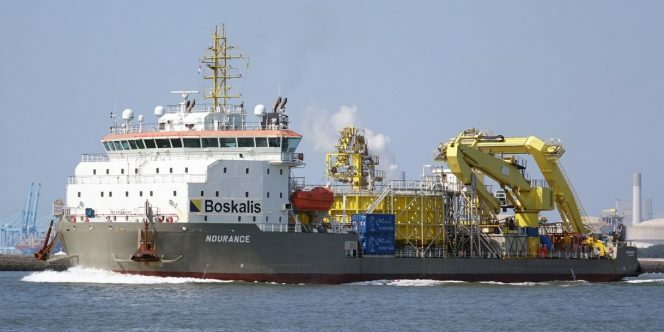 Boskalis’ cable laying vessel Ndurance has completed cable trencher tests in the Port of Rotterdam, the Netherlands. Ndurance performed a number of trials at Alexiahaven, Maasvlakte 2, during which the trencher was lowered to the bottom and tested successfully, the Port of Rotterdam said. According to the port, good use has been made of the test and demonstration space, especially the offshore pit, which is developed for testing new ship techniques. The trencher on board Ndurance can bury cables in deep waters, as well as in shallow areas. Besides working together with the vessel, the trenchformer can operate as a stand-alone spread. 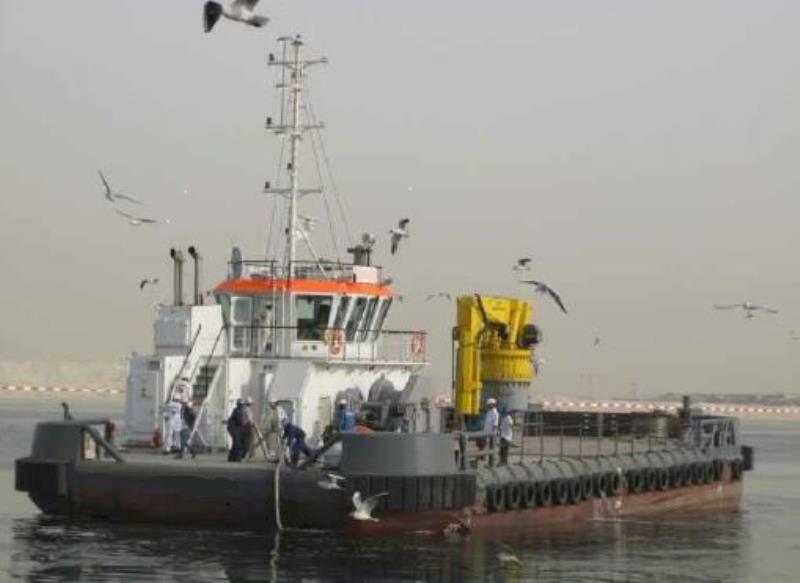 Ndurance is a multipurpose vessel which can be outfitted for cable laying or other tasks, including diving support, subsea rock installation, offshore construction support, salvage assignments and dredging operations. 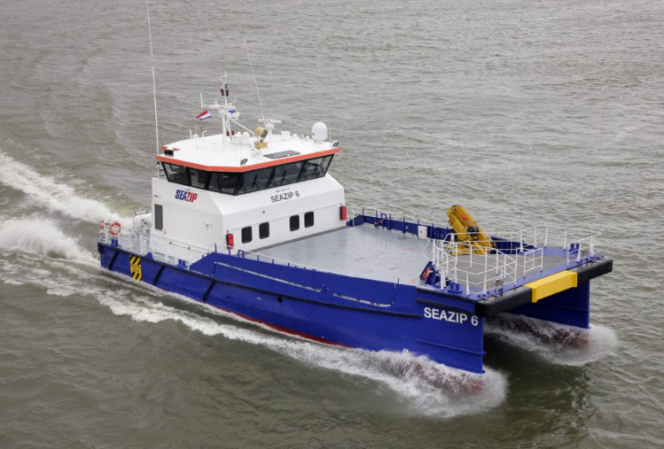 SeaZip will soon put a new fender system to test on one of its crew transfer vessels (CTVs), after the Dutch company Ridderflex provided an innovative solution at the Offshore Wind Innovation Challenge 2018 as a response to SeaZip’s quest for “The Perfect Fender”. With the first prize, Ridderflex has won prize money, an introduction at ORE Catapult and the option of running a pilot of their product on an offshore wind farm, according to the Offshore Wind Innovators, who organised the challenge. SeaZip had entered the Innovation Challenge looking for SMEs and start-ups that would come up with “The Perfect Fender” solution for SeaZip vessels since the current fenders in the market suffer frequent wear and tear, and often have to be replaced after three weeks. The costs for replacing a fender range between EUR 15,000 and EUR 30,000, not even taking into consideration the costs for downtime of the vessel and wind turbine. Vineyard Wind has named MHI Vestas as the preferred wind turbine supplier for the 800MW project off the coast of Martha’s Vineyard, Massachusetts. The number of turbines is yet to be decided however MHI Vestas will supply its V164-9.5 MW units. The turbine has a hub height of approximately 105m and 164m rotor diameter. Vineyard Wind LLC is a 50-50 joint venture between Copenhagen Infrastructure Partners (CIP) and Avangrid Renewables. The initial 800MW project is due to start construction next year. According to Vineyard Wind the 160,000 acre (647km2) lease area has a potential build out capacity of 1.6GW. The developer has recently submitted a 350MW and 200MW bid in response to the Rhode Island Request for Proposals and an 800MW bid in response to the Connecticut RFP. Seamade NV has achieved financial close for Belgium’s largest offshore wind farm, the 487MW Seamade project. Jointly owned by Otary (70%), ENGIE Electrabel (15.5%) and Eneco Wind Belgium (12.5%) the project represents the merger of the 235MW Mermaid and 252MW Seastar offshore wind farms. Seamade has received finance from an international lending consortium consisting of the European Investment Bank, the Danish export credit agency EKF and 15 commercial banks. With a Financial Investment Decision (FID) in place several major contract awards have been confirmed. 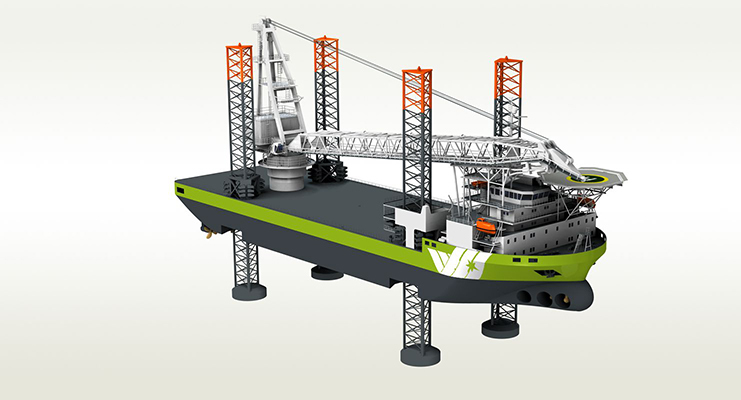 Offshore construction activities will begin in summer 2019 with commercial operation by the end of 2020. The final testing of the floating Hibiki offshore wind turbine is making progress and commissioning is expected later this month. Located off the coast of Kitakyushu, Japan, the project features IDEOL’s "Damping Pool" foundation and a 3MW turbine. The New Energy and Industrial Technology Development Organisation (NEDO) is leading project development and stated that ‘after the commis-sioning, the Safety Management Examinations must be performed by the Ministry of Economy, Trade and Industry and if there is no corrective instruction, the Hibiki will start operation officially.’ Also, the Japanese Government has approved a new bill which will enable the Japanese Cabinet to draw up a policy to promote the use of Japan’s territorial waters for renewable energy development. 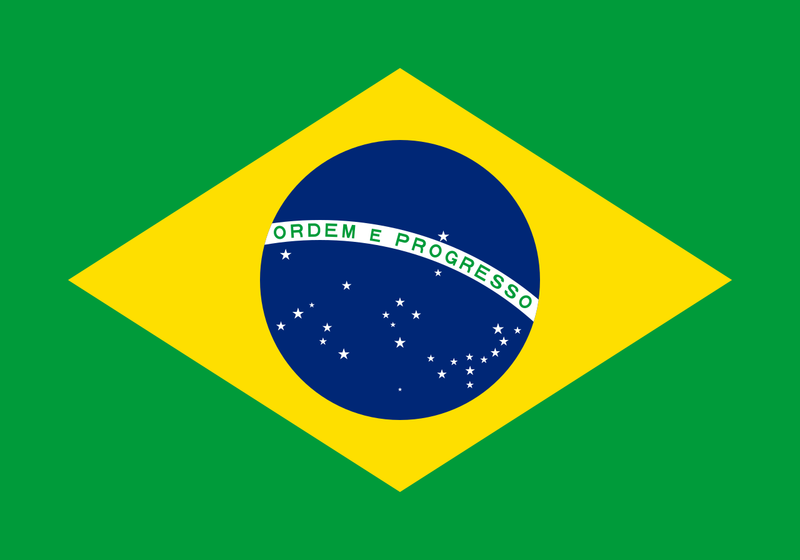 The Brazilian petroleum company, Petrobras has announced plans to invest $417m in renewable energy development, according to its 2019 - 2023 Business Management Plan. Although this is a relatively small amount in comparison to the $84bn the company plans to invest overall, it is the first time offshore wind has been included in Petrobras’ official strategy. The report highlights offshore wind as one the company’s main areas for renewable energy expansion alongside solar and biofuels. Petrobras will continue to investigate offshore wind potential over the next decade. In September Petrobras also formed a strategic partnership with Equinor to develop offshore wind farms in Brazil. Petrobras currently has one project in the planning stages; a demonstration turbine to be located 20km off the coast of the municipality of Guamare, Rio Grande do Norte. The pilot project is expected to be commissioned by 2022 and will be used to collect valuable data to support future decision making for offshore wind farms in Brazil. On Monday 10th December the U.S. House of Representatives passed a bill which will allow for offshore wind development in the EEZ adjacent to all five U.S. territories. The Offshore Wind for Territories Act was introduced in August 2018 and would amend current law enabling the Department of the Interior (DOI) to lease sites off the coast of American Samoa, Guam the Northern Mariana Island, Puerto Rico, and the U.S. Virgin Islands for offshore wind development. According to an accompanying report these territories currently rely heavily on imported petroleum and are in ‘dire need of energy solutions’; Guam's petroleum consumption per capita is nearly twice of that in the continental U.S. Reportedly Guam has considerable offshore potential, so long as the wind turbines are engineered to withstand typhoons and earthquakes. Yesterday the French Minister for the Ecological and Solidarity Transition presented the long awaited Multiannual Energy Program (Programmations Pluriannuelles de L’énergie (PPE)). The PPE sets out the roadmap for energy transition for the period 2019-2023 and 2024-2028. The Government has set targets to increase renewable energy generation from 17% in 2017 to 40% by 2030. According to the PPE France still intends to install 2.4GW of offshore wind by 2023 which has already been tendered for in 2012 and 2014. The PPE also targets 4.7-5.2GW of offshore wind capacity installed by 2028. The French wind power federation (FEE) has responded that this target falls dramatically short of recommendations by the industry and has called on the government to revise the objectives for offshore wind power so that the country does not miss out on the opportunities associated with offshore wind. Scottish Ministers have given approval for the 450MW Neart na Gaoithe offshore wind farm to be built with fewer but higher capacity wind turbines. The new design will feature a maximum of 54 turbines with a maximum tip height of 208m and rotor diameter of 167m, as well as 140km of array cabling, two offshore substations with jacket foundations and two export cables of 43km. The project was granted consent in October 2014 but has been significantly due to a judicial battle with the Royal Society for the Protection of Birds which was resolved in November 2017. The revised project design intends to take advantage of new technological developments which have occurred since the original consent. EDF acquired the project from Mainstream Renewable Power in May 2018. The wind farm is expected to be operational by 2023. 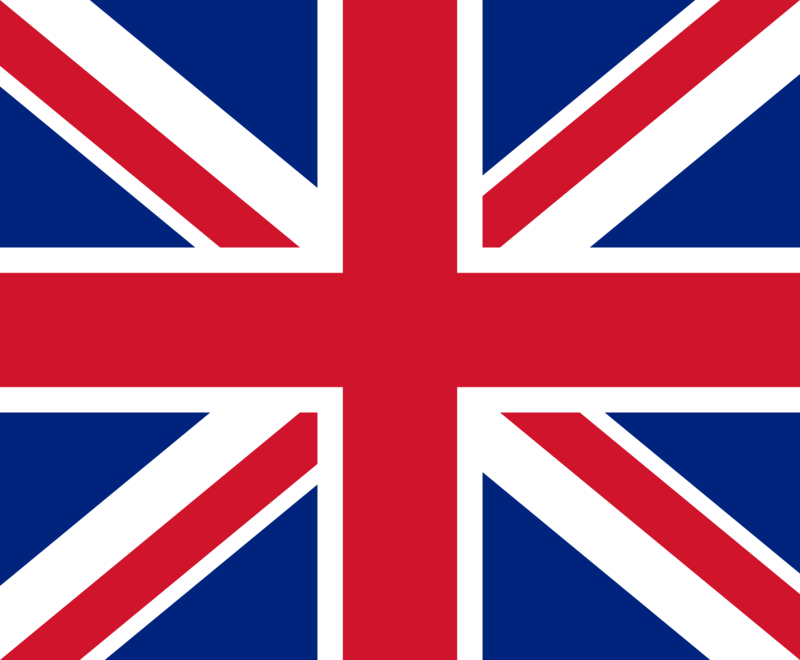 The Crown Estate (TCE) is progressing with plans for the Round 4 Offshore wind leasing and aims to formally launch the tender process early next year. Since the CE first announced plans for making new seabed rights available to offshore wind developers last year, it has been working with the energy sector and stakeholders to identify potential regions for development and design a leasing model. The capacity of Round 4 is 7GW with individual projects of 300-1500MW and in water depths up to 60m. Lease terms are likely to be 60 years to enable two project lifecycles. The Crown Estate recently published the detailed analysis underpinning the region refinement work. According to planning documents the Prequalification stage will open in Q2 2019 followed by the Invitation to Tender stage in Q4 2019. The lease contracts will be finalised and awarded in late 2020 following a Habitat Regulations Assessment. Sønderborg Supply A/S have submitted the preliminary Environmental Impact Report (EIA) for the 160MW Lillebaelt Syd offshore wind farm to the Danish Energy Agency. The developer submitted the report on 7th December; a week before the deadline when the investigation permit expires. The EIA report has been prepared by COWI consultancy and assesses the potential environmental impacts during the construction and operational phases. According to the report impacts are anticipated to be ‘negligible’. The report quotes that the risk of seabird collision is estimated to be a bird per year and the subsea structures will attract and improve conditions for certain species. Noise dampening measures will be used during installation such as ‘bubble curtains’. The wind farm will feature between 20-40 wind turbines of 4-8MW capacity and up to 200m tall with either monopile or gravity base foundations. Wenn Sie diese E-Mail (an: j.tibke@grs-offshore.com) nicht mehr empfangen möchten, können Sie diese hier kostenlos abbestellen.